My eldest daughter was so excited that the Postman had brought her a present for her birthday. She could not wait to open it and was so pleased with the gift inside. Inside was a My enchanted mirror from Sambro. My enchanted mirror interacts by answering questions including 'who is the fairest of them all', telling stories and even playing music. I have been known to ask the mirror a few questions for a pick me up. 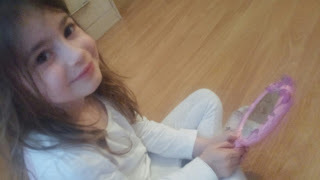 My daughter really loves her my enchanted mirror and to see more have a look at our Vlog. 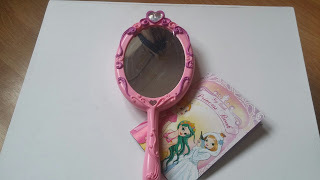 My enchanted mirror was sent for the purpose of review, all words are my own opinion.